April 16 + 17 I had the great pleasure of teaching sunprinting workshops at the Sweet Paul and the Makerie retreat held at the URBN’s corporate headquarters in the Philadelphia Navy Yard. 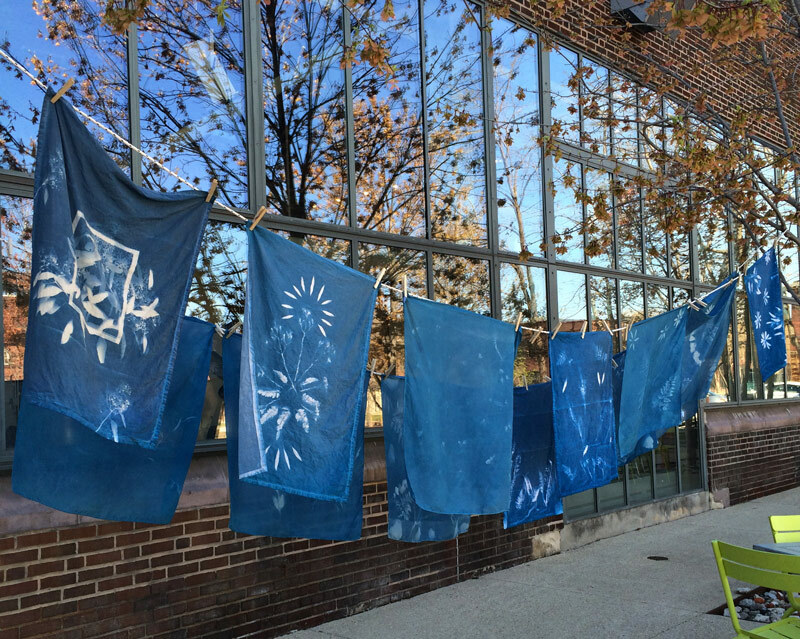 The weather was fantastic and perfectly sunny – which is VERY helpful when sunprinting! Three workshops were held at full capacity and everyone had tons of fun. The makers had the choice of a terrain silk scarf or a tea towel. 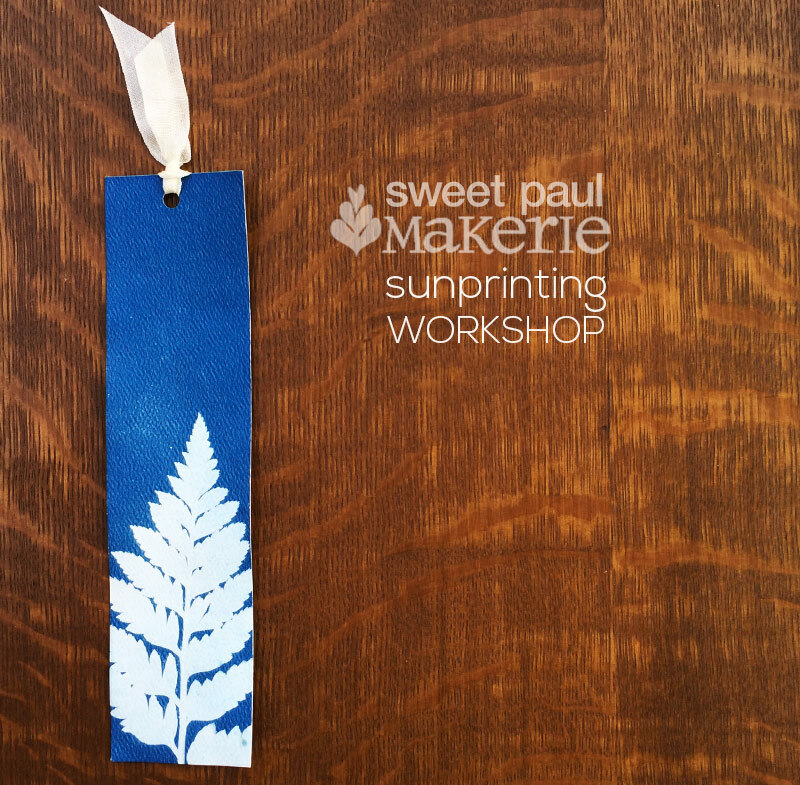 For my usual sunprint workshop we first make a bookmark to get the process down. Then we forage for materials and create a 5×7 paper print. The fabric was a bit of a challenge and being rather windy didn’t help, but pinning to foam core boards worked well. The laundry looked great drying in the sun. Everyone’s creativity was great. Lots of unexpected surprises, like the holes from the tables creating polka dots THRU the foam core. I still can’t quite figure out how it happened, but with art they are always happy mistakes. I made some new friends and had a blast!